Sara Robinson, MA, has worked as a Mental Skills Coach for over a decade. She has worked with recreational and competitive athletes, ages 7 to adult, in just about every sport, but works primarily with competitive gymnasts, cheerleaders, swimmers, and soccer players. She consults with individual athletes and teams, as well as presents to coaches and parents about mental skills to best support their athletes. Sara believes every athlete and performer can benefit from mental skills training, and introduces techniques and strategies in ways that are fun, interesting, and appropriate to the client’s age and sport. She loves teaching clients new skills, supporting their goals, and helping achieve more consistent performance. 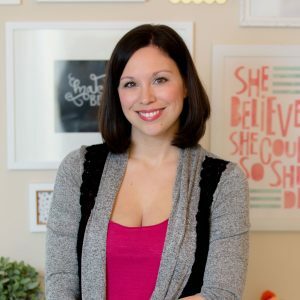 In addition to consulting, Sara is a freelance writer, contributing to sites like SportKid Live, The LPGA Network, RunSmart Online, and the Positive Routines blog. She is a former faculty member and supervisor for John F. Kennedy University’s Sport Psychology Department and is an editor and author for the book Excelling in Sport Psychology: Planning, Preparing, and Executing Applied Work. 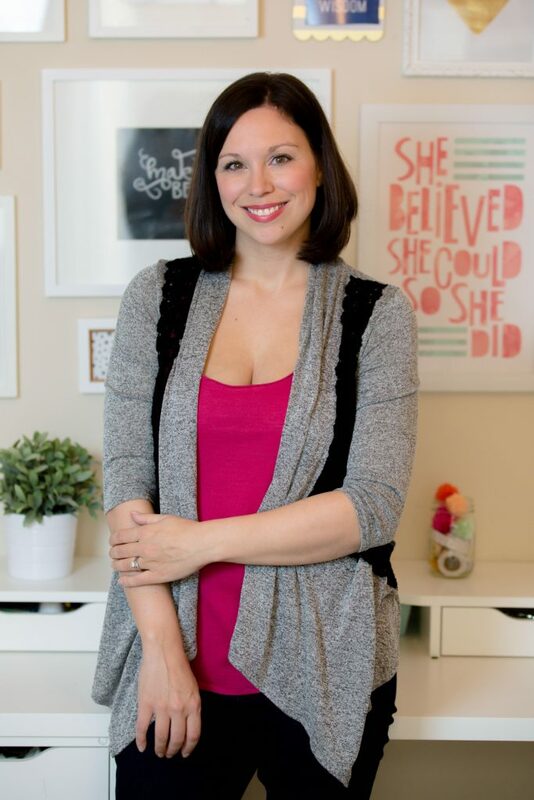 To see if working with Sara is a fit for you or your child, let’s chat! Coach Rebecca: Hi, everybody. Welcome! I am so excited to be here with Sara Robinson who I’m having a little fan girl moment with because she is one of the people who taught me a lot of what I know. Coach Rebecca: She is even more experienced than I am and just an amazing resource for sports psychology knowledge. She’s super creative. She was obviously born to do this work, and I am so grateful to have her as the newest member of the Complete Performance Coaching team. Today, I’ll pick her brain so that you guys can get to know her and then of course you can always reach out to her through the site or through the Facebook page to make sure that you get all your questions answered now that she is available to us. So Sara, welcome. Sara Robinson: Thank you for that very warm welcome. Coach Rebecca: I’ve always gravitated toward kids. Did you intend to work with kids primarily? How did that evolve for you? Sara Robinson: I’ve always been passionate about that age group. Being a kid is so much fun. My sport experience really ended when I was about 15. So much happens before your teenage years and sometimes into your teenage years that I just felt if I could help that age group, that would really be amazing. I didn’t necessarily intend to focus on that but it was just sort of always where my passion was, so looking back, it makes sense that that’s where the majority of my work happens. Coach Rebecca: Did you always know that you wanted to do sports psychology or how did that come about? Sara Robinson: No. Actually, I didn’t. In my undergrad, I studied theater and psychology. By the end of my time in college, I knew I wanted to continue with psychology. I just didn’t know what. I moved back to the Bay Area. I was in college in New York and was looking into the many different types of higher education psychology programs that exist in the Bay Area. Actually, it was my dad who taught at JFK who said, “Well, you know, there’s a sports psychology program. Have you ever thought of that?” I said, “I haven’t even heard of that but that sounds like it would make sense for me.” It did in part because of my sport background. My interest in helping people really was the focus. I wanted to help people, and I knew that going more of a typical therapy route wouldn’t really work for me. That was a little too intense. I wanted to help in a different way. So yes, sports psychology really just combined all the things I was interested in, but I tell people, I came to it for the psychology part, not the sport. People are always shocked when they hear that I don’t watch sports. I don’t follow. I don’t know who the Giants played recently. None of that. I’m not a sports fan in general. Coach Rebecca: That makes me feel so good because I was always so insecure. In school, I was like, “I know who’s going to Jesolo for the gymnastics international competition, but I have no idea, anything about football or baseball.” But talk to me about gymnastics and figure skating and I will nerd out with you. Swimming, I got. But it’s not like we’re not sport people, we just know the sports we know. That’s where Coach Jimmy comes in handy on the team. Jimmy’s our team sports guy. Sara Robinson: Yeah, I do work with a lot of team sport athletes. I’ve learned how to over the years. Again, my interest is in helping those athletes do well in their sport. But, if they’re going to talk about specifics, I just nod and smile and just let the kid be the expert. I’ve worked with a lot of athletes over the years but definitely have gravitated more towards the gymnasts, the cheerleaders, sometimes figure skaters, swimmers for sure. There’s a lot of commonalities in some of those sports. Coach Rebecca: Definitely. What is your sport background? Sara Robinson: I was also a gymnast. I like to say I retired at the age of 15 but I actually left club gymnastics when I was 13, right as I entered high school. I stopped completing for club and I was very fortunate that my high school had a gymnastics team and that within the league, it was actually pretty decent competition because a lot of us left club around the same time and then competed together in high school so it’s a very fun experience. Coach Rebecca: High school gymnastics is great because it has the same excitement as college. The team spirit and that you’re contributing to a greater cause. As a club gymnast, you don’t necessarily get that because often your best friend is your biggest competition and you’re always secretly jealous even though you’re happy for her. Sara Robinson: Right. This was 20 plus years ago so the coaching, no offense to any of my coaches who may be watching this, I think the coaching and the emphasis was different and I know we’ll get into this but dealing with my own fears and what happened, it became a big struggle, so yeah, I was very different then. Coach Rebecca: That’s one of the main things, I primarily help gymnasts with fear. That’s another reason why I was like, “Oh my gosh, to get Sara on my team would be so great,” because you also specialize with helping gymnasts with fear. Now, what was your personal experience with fear in gymnastics? I would kind of go through phases. Like, I would be fine, and then I would freak out, and then I would get kicked out, and then I would hang out for a while and eventually kind of get my skills back and get back into practice. After doing that a lot of times and going through the cycle, it just wasn’t fun anymore. Thankfully, my parents were supportive of me shifting away from that. I was able to step into high school gymnastics which was great and actually I ended up getting some of those skills back and then some in an environment that was a lot less pressure. Coach Rebecca: It’s amazing how just a coach or a team change or a gym change–something that changes the environment– can boost somebody’s confidence. Sara Robinson: Yeah. Unfortunately, I didn’t know about mental skills then and my parents didn’t know about mental skills, and if the coaches did, they didn’t share about it. Really, when I found sports psychology, I went, “Wow, if I knew then what I’m learning about now, my experience would have been so very different.” I think gymnastics as a culture in some ways has changed to where people are more vocal about the mental aspects of gymnastics but sport in general. Mental skills coaches and the field of sport psychology has grown a lot in the 20 plus years since I was a gymnast. Even in the last 10 years since I’ve been doing this work. I think more people know that it’s an option to get support around the mental aspects of sport performance. Coach Rebecca: For lots of gymnasts It’s comforting to know that even Simone Biles had a meltdown season in 2013. She’s this incredible athlete, and with the help of a mental skills coach, she figured out how to user her mind for good. Yeah, college teams, pro teams, everybody’s got a sport psychologist these days. The stigma of, “I have to be crazy to need this,” I think is definitely changing. Sara Robinson: Right. I think too, a lot of the times, I’m sure this is true for you too, we get calls when something isn’t going well, when someone is in the middle of the fear and they’re saying, “For the last six months, my series has come and gone,” or “I have this block.” But I think more and more people are realizing that it can be a proactive solution too. I love when I work with teams, the coaches call me before the season starts and say, “Okay, we know the season is coming. Let’s work on these skills now so that we can mentally prepare.” So there’s that aspect of it too: warding off some of these challenges that athletes face. That’s also why I love working with youth athletes, because these are life skills. Maybe we’re helping them work through a fear or build more confidence or deal with that negative inner voice, but those are skills they can take with them regardless of how long their sport experience lasts. So that’s why I really love working with young and teenage, even early college athletes. Coach Rebecca: When you were going through the fears, when you were struggling, what was your parents’ reactions? What did they do to try to help you? Sara Robinson: Gosh. I know you told me you were going to ask me about this so I was trying to remember. I should have actually asked them what they did. I don’t remember it being very much to be honest with you. I think, again, unfortunately our gym culture was a little bit like “parents stay out of it, we’ve got this.” So I think they just encouraged the best that they could. The thing about fear is that it comes and goes… and as parents, it’s so hard because you see it logically. You know your child has done it before. Chances are they’ll do it again. You don’t know how to get them from A to B. Coach Rebecca: It sounds like your parents kind of did the right thing. They weren’t in the way. They weren’t doing anything wrong. Which, I mean, every parent is like, “What do I do?” “Do I make them do it? Do I bribe them? Do I force them? Coach Rebecca: Most of the time it’s best to just get out of the way and let them have their path. It was so hard as a parent and you know this now that your little guy is playing little league baseball, right? Sara Robinson: I think the only thing they could have done differently and honestly I don’t think they even knew to do this was just to normalize what I was going through. Because I think when gymnasts are going through or any athlete is going through whatever it is, a fear, lack of confidence, just getting down on themselves. They feel like they’re the only one going through it. It felt like that. It felt like all my other teammates were fine with all their skills and no one else got kicked out of practice or if they did, they got back fairly quickly. I think for them to sort of normalize that would have been great. But again, I mean, they didn’t know. They didn’t necessarily know that it was normal. Then to be able to find additional support to work through that. Again, this mental skills training wasn’t really a common thing back then. I definitely don’t fault them for that but I think now, parents have a lot more options for how to help their athletes which is great. Coach Rebecca: You made it to 15. I only made it to 14 because there were no mental skills. I just hit the wall and eventually gave up. It wore me down. Sara Robinson: I mean, it would have been 13 had it not been for high school gymnastics and I sort of after two seasons made the shift to kind of a different interest which was theater at this point in time. I felt like, “Okay, I did this.” I think I won the league championship. I got my letter. I’m good. Check, check. I reached the goals that I could reach at that point. I’m at my pinnacle. I’m going to retire now. I’m down. Coach Rebecca: Now, did you have any stage fright or performance anxiety being on stage? Sara Robinson: No. I didn’t. I was always really comfortable there. Even I recall like in meets, I didn’t get super nervous. I always loved the performing aspect of it. Floor was always my favorite and kind of performing and dancing. So yeah, theater, I didn’t really get too nervous about. Yeah, I don’t know why that is. Coach Rebecca: Yeah. It’s interesting. I have a figure skater I work with who is the same way. She can go on stage and shine and then in practice, she is like a completely different person, with tons of self-doubt and criticism. It’s interesting how in certain arenas of life, different insecurities or different self-doubts can come up and need different skills and tools to handle them. Sara Robinson: Yeah. Well, we all have our own sort of natural tendencies, whether it’s, “Okay, I’m confident in this situation.” But I’m not in this situation or my ability to be positive is really great but I get distracted very easily. Everyone has their own sort of natural inclinations and so it’s important we help our athletes build on that and then find the places where there’s kind of these gaps and help build that. I think, again, those skills, they translate, right? If you’re feeling more confident in the gym then maybe you’re someone who’s more confident speaking in front of a class or trying something new. If you’re not so confident in the gym, you might see that in other areas. That’s why these skills, as you know, are life skills. Coach Rebecca: Okay, a kid comes to you or a mom comes to you and their daughter is struggling with a mental block. What does your process typically look like with them? Sara Robinson: Typically, to start off with any athlete, I want to get to know them, what’s going on, what’s working. It’s important to pay attention to the positives and what’s not because even though I’ve worked with hundreds if not thousands of athletes and many, many of those on fear, I’ve never sat down with this particular athlete before. While there are probably commonalities, there are things that are different. I want to get a background. The first session, we’re not really fixing anything. We’re just sort of learning about it and also bringing awareness to the athlete. Because even though they live in it and they’re probably very aware of the fear, they might not realize that it’s a beam fear but it starts like 20 minutes before the beam rotation even begins. That’s a point where we can help kind of tackle this fear that they’re experiencing. That learning is important for me and the athlete. Then typically, for most of the people that I work with, a fear is going to affect the way they’re thinking. They’re probably thinking negatively. They are thinking about the fall that could happen, the fall that did happen. Their thinking needs some work. They’re probably feeling nervous or stressed or frozen so we kind of need to deal with the physical ramifications of their fear. A lot of the times, gymnasts are picturing the falls or that fear is manifesting as images in their head or they can’t picture the skill anymore and that’s really stressful. We’re usually tackling those three pieces pretty consistently, their thoughts, their feelings and their images. Then I find that communication becomes really important with fear too, the communication specifically that they’re having with their coach. Oftentimes, athletes are not as open as they could be and I know that’s really hard to talk with coaches and to let them in. If a coach doesn’t understand that an athlete is experiencing fear and they’ve seen the athlete do it, they’re like, “Just get up on the beam. You can do it.” That’s stressing the athlete out and pushing them further from doing the skill. The coach thinks they’re being helpful. A lot of the time, we also work on communication skills, how can you talk to the coach about this. Sometimes, coming up with even though I’m obviously not the coach, coming up with what might be an ideal sort of physical plan to get the athlete back to that skill and talking about how they can present that to the coach, again, coaches may say no but maybe they can come to sort of agreement or happy median because it’s not just the mental aspect. They actually have to physically do the skill at some point in time and work back towards it. I’m not saying this is what you should do, we’re breaking down how do you think you can get there and how can you maybe get the coach more on board with that so that you have a plan in the gym that sort of matches up with working on your mental skills as well. So that’s typically what happens when we’re dealing with a fear. Coach Rebecca: That’s how I approach it too. You guys out there, I’m so excited that now you’ve got multiple people who can walk you through this thing called fear. You probably feel like you’re the only one but there are 3,500 gyms in the US and maybe there’s one kid in each of them that has a mental block or that struggles with fear and they feel like they’re the only one. But it’s this really simple path that you do. We help kids build confidence in these really simple ways that as soon as the kids learn them, they never have to be afraid of the fear coming back and taking over again. Instead, they know what to do when it crops up. Sara Robinson: Right, yeah. I like to look at it as we’re kind of creating a recipe. If you want to make cookies the same way every time. You have your recipe and you do it. It’s like we’re putting these pieces together so that if that block starts to sneak back up, hopefully you notice it’s coming because we’ve built your awareness, that you know what to do. Those fears become less scary because you know what to do if and when it happens. Unfortunately, that’s the nature of fear, is that they do tend to come back up, especially certain gymnasts are more prone to fears. I certainly was. I didn’t have sort of the skills or the plan, I would muddle my way through it, I get back in and then it would come back up again because I didn’t have specific ways to think or approach the situation to be able to get through it. Having that individual recipe is really important so that they can go back to that later on, because these fears may very well likely come up again. Coach Rebecca: Definitely. Now, when you work with swimmers, I’ve done a lot of work with swimmers too, what do you find is kind of the typical thing that they come to you for? Having confidence in themselves as a swimmer versus I’m really good at this distance or this stroke. Then managing to be consistent because they spend a lot of time training in the pool and then kind of like gymnasts, they have to put it all together for that one race or distance and then hopefully they go to finals and they do it again. Helping them become confident in their ability overall and find that consistency. I would say as well as learning how to what I have to call sort of selective memory, as if one race doesn’t go well, well, that’s done. It’s kind of gymnasts, right, if vault didn’t go well, you’re onto the next thing. If bars doesn’t go well, you’re onto the next. Even though they don’t come to me for that, I found that’s really important, is not letting one not so great race affect what happens the rest of your day or your weekend. But somehow, the distance of not being their mom, not being their coach, kids kind of hear stuff from us, I’ve noticed. Sara Robinson: Right. That’s what I tell parents a lot of times. Because I think a lot of times parents do know great things to say and they have really positive and appropriate ways of encouraging their kids. With the amount of information you can get from podcasts like yours, from the internet, parents have a lot of information. They are well meaning and they want to support but kids don’t want to hear it from parents, unfortunately. This happened to me the other day. My son was unfortunately having a little bit of a meltdown at baseball and I was trying to talk to him, stay calm, use all my information. He’s not having it. Coach comes over. It’s like, “Hey, come here buddy.” Trots on over. Hears it from him, I’m like, “I’m pretty sure I just said that,” but all right, I’m going to let you have that one, coach. It’s parents may mean well. They just, that’s the nature of parent-kid relationship which I understand more and more every day. Parents, you do know so much and unfortunately they’re just not always going to hear it from you. Coach Rebecca: Yes. Then there’s this interesting ego connection, I’ve noticed with my daughter where I’m like, “She’s so good. She’s so good at gymnastics. Okay, she’s three.” I’m already a crazy gym mom even though my job is to help everyone not be crazy gym moms. I’m like, “She’s so good but she’s not living up to her potential because she’s so nervous about the teacher. What’s the problem with the teacher?” I find that I’m like I notice my own experience of I want to look good. I want this guy, her coach, to think I’m a good mom. There’s so much wrapped up in parenting an athlete that it’s like you can’t be neutral. It’s so hard. Sara Robinson: It is hard. Sara Robinson: Yeah, I always try after he plays, I always try to say, “I loved to watch you play today.” I read that somewhere. I can’t take credit for that. There was an article that made the rounds a couple of years ago of like, however many words that is, I loved to watch you play, what, six? These six words you should say to your athlete, like “I loved to watch you play today,” and just let them know that you enjoyed it and it wasn’t about what they hit or what they scored or what they did but I loved to watch you play today. I loved to watch you perform. I loved to watch you get out there and just know that that’s what you’re there for as a sport parent. I’m trying to remember that. Coach Rebecca: Yes, and the effort. The effort, the effort, like, “Wow, you worked so hard today and you got …” That, I can get down with at the end. I’m like, “I bit my tongue for 45 minutes and now I’m going to be like, “Great job, kiddo. Nice work.” Then we go to the Starbucks and we keep on with our lives. Another population you work with is soccer players. Coach Rebecca: I have less experience with soccer players. I would love to know what you typically do with soccer players. But similar to any athlete, a lot of the times, it’s also the way that they’re thinking which then affects not only themselves but their team as well. So it’s one part kind of team building, team bonding, communication. Then it’s also getting more control over their thoughts and their feelings to play their position and to support the functioning of the team. Coach Rebecca: Yeah, yeah. A parent in the Perform Happy Community was just asking about his son who’s a soccer player and he gets really anxious around a certain other player he plays against so it seems like that the relationship aspect of that sport in particular is huge. Sara Robinson: Yeah, team dynamics for sure. Which obviously come into play for gymnasts as well but it’s different because, yes, there’s a team component, if everyone does well, your gym might win. But it’s very different, gymnastics versus soccer or basketball, sports like that. Coach Rebecca: Awesome. Anything else that you want to let the community know that you’re available for and anything else that they ought to know about you? I think for any parents who have sort of stumbled into this community, know that that’s great too, to start helping your athlete early and proactively versus, “Oh, there’s an issue. Let’s help it.” Which we can do, we can absolutely do. But it’s much easier to help your child through a fear or a block when they have this foundation versus they’re two, three, six months a year in. We can still help, but it’s going to be a much, much bigger upward battle than if we kind of get those foundational skills early. Coach Rebecca: Awesome. All right everybody. That is Sara Robinson, the newest member of the Complete Performance Coaching team. Also she is so not new to this work. We are very lucky to have her. You can schedule a free consult with her at completeperformancecoaching.com/schedule and look for videos and updates from her, sharing her vast knowledge with you guys. Thank you so much for being here with me today. Coach Rebecca: I’m looking forward to the good work we’ll do together.